Renaldo Strayhorn, Ph.D., LMFT: Addressing the Elephant in the Room - Adolescents and Working? Do They Mix? Addressing the Elephant in the Room - Adolescents and Working? Do They Mix? was the lack of discussion during couples counseling about how the struggles of the adolescent (biological, adoptive or kinship) impacts the union of the couple. As promised I wanted to revisit effective ways to raise happier children; which means cultivating a happier marriage during the childbearing years. These 5 parental points of parenting are worth discussing. This week the focus is on the first item of the above mentioned article which simply states GO TO WORK. This is direct, to the point and could not be better stated. With evidenced based support from Harvard Business School and Berlin Social Science Center data indicates what I have noted and observed over the past several years. With that being said and aside from my full endorsement of the ideology of going to work one must also argue that this applies to not only women going to work. This principle is equaled to men, as well. Several years ago the entertainer Arsenio Hall had a successful and arguably groundbreaking talk show aptly titled The Arsenio Hall Show which aired on from 1989 to 1994. He returned to last night television in 2013 included big promotions supporting his return to late night television, including multiple interviews. During the launch of Hall’s short lived return, Rachel Martin’s NPR 2013 interview with Arsenio Hall quoted him saying his son “needs to see a dad who has to leave and can't always make it to things. That's part of being a man, that's part of fatherhood too, and I wanted to have that aspect of seeing me and being me.” He further commented that his son saw him as an active father but unaware of money, currency and the work ethic. Mr. Hall gives excellent example of parenting in that he transitioned into the workforce with an agenda to model for his son the skills, work, relationships, coordinating, sacrifice and negotiations that are required for a productive career lifestyle in America. To be balanced in the discussion there are many reasons for not working that range from health to choice to child care costs, just to name a few. However, there are compelling justifications for being active outside the home. 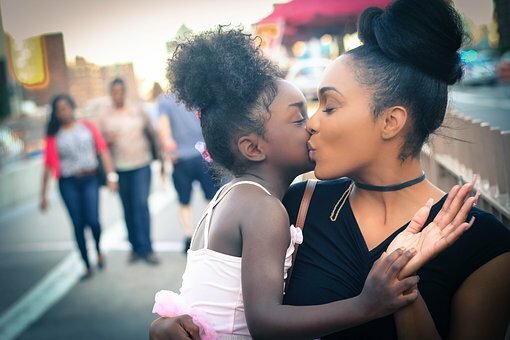 The modeling and symbolic meaning of the mother’s true role and future self worth and social engagement are nicely discussed in this easy read about effective ways in raising children. Therefore, a working mother might be a significantly positive life choice as it might affect your child’s future perceptions, present health future emotional flexibility. Moreover, if your teenager’s relations with his parents is positive then your spousal relationship will only benefit. As stated last week, the Elephant -- the beautiful creature. Can addressing the Adolescent elephant-in-the-room; and bring them to therapy to work on self-growth, be a benefit to your marriage! Yes! Have your teen come to therapy for self growth and to be the best they can be!